Located in the southwestern part of Zhejiang Province in China is the picturesque countryside of Longquan. Aside from its beautiful, natural scenery, this region is also known for its prized celadon wares and sword products. 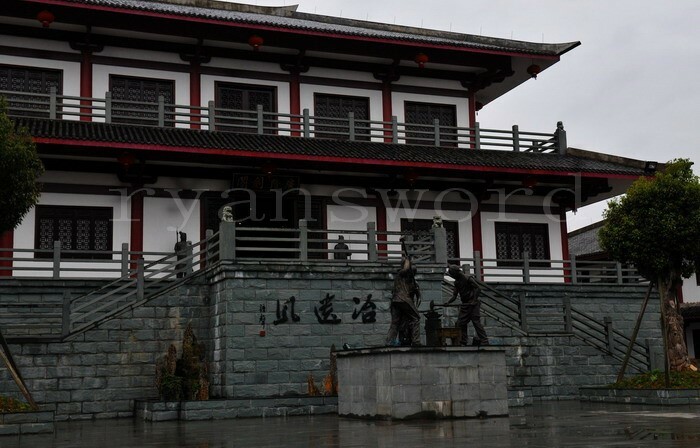 The history of sword-making in Longquan can be traced back to a few thousand years. Skilled swordsmiths and artisans of long ago forged blades of exceptional quality that eventually spread to other parts of China and even to other Asian countries like Japan and Korea. Ryansword is a company that is proud to continue this treasured sword-making tradition. Our forge and workshops itself are located in Longquan were nature provide inspiration for the art of blade-making. Drawing from the knowledge and experience passed from renowned blademakers of old, we make excellent quality blades, not just Chinese swords but a wide variety of other blades as well, like katana and other Japanese blades, European swords and blades from movies and Anime. Blade collectors, aficionados, martial artists or just any blade lover can chose from our extensive catalog of sword models. We also accept custom orders and just any other blade design to satisfy our customers’ requests and needs. You can choose what fittings, color, sheath, handle and blade material you would want on your blade or you may send us a drawing with dimensions and description of your design. You can find our products and our contact information at our website www.ryansword.com. We will cater to your requests and try our best to give you a blade that is worthy of the blade-making legacy of Longquan.